There are some misconceptions about affiliate marketing; according to Forbes, one myth is that affiliate marketing is most successful for niche companies. But any company that has a dedicated user base can try out an affiliate program. Another myth is that affiliates spam their social networks or use spammy tactics to get more visits to their sites or services. This isn’t the case either; essentially, affiliate marketing can be effective when using a word-of-mouth marketing philosophy. Word-of-mouth marketing works so well because people trust the recommendations of their friends and family, and this same approach can be taken for affiliate marketing. 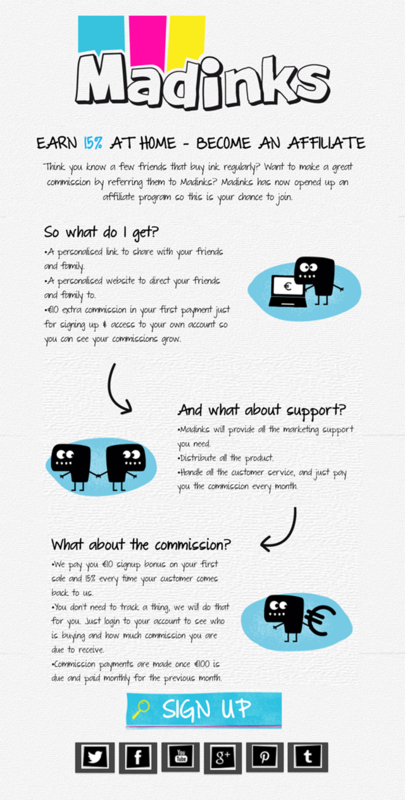 Setting up an affiliate marketing program doesn’t have to be complicated. (Our 5-step guide is a good resource for new affiliate marketers!) To start, create a sign-up form using this template to gather interest from people and share information about how your affiliate system works. Be clear with the process of enrolling in the program and how much people can expect to make as an affiliate. Collecting this information through a ShortStack Campaign means it will all be stored in your Campaign’s database. You can then export this information into a spreadsheet or an email marketing database to keep in contact your affiliates. If you want to incentivize affiliates to bring in more affiliates, you can also enable ShortStack’s Refer-a-Friend feature. Traditionally, the Refer-a-Friend tool gives extra entries to participants in contests when they share the contest and get their friends to enter. For this purpose, you can track extra points in your affiliate database to see if they’ve brought other affiliates on board. Printing ink company Madinks created an affiliate sign-up form that is fun and colorful, and contains a straight-forward explanation of what affiliates will receive and what they need to do. The call-to-action at the bottom is prominently displayed, and their quirky typography makes the program seem inviting to existing Madinks customers. Selecting the Sign Up button on their landing page then opens a form where prospective affiliates can enter in their contact information and payment preferences.